Universal tactical vest with many pouches, quick draw holster and belt. One size fits most. Universal tactical vest with many pouches, quick draw holster and belt. One size fits most. Universal tactical vest with many pouches, quick draw holster and belt. XXL Size. Universal tactical vest with many pouches, quick draw holster and belt. One size fits most. For LEFT HANDED. Universal tactical vest with many pouches, quick draw holster and belt. One size fits most. Universal tactical vest with many pouches, quick draw holster and belt. One size fits most. Universal tactical vest with many pouches, quick draw holster and belt. One size fits most. Universal tactical vest with many pouches, quick draw holster and belt. One size fits most. Utility tactical vest. Many pouches for clips and tools. One size fits most. Utility tactical vest. Many pouches for clips and tools. One size fits most. Utility tactical vest. Many pouches for clips and tools. One size fits most. Utility tactical vest. Many pouches for clips and tools. One size fits most. Utility tactical vest. Many pouches for clips and tools. One size fits most. Utility tactical vest. Many pouches for clips and tools. One size fits most. Deluxe tactical vest. Soft Collar. Fully adjustable, one size fits most. Deluxe tactical vest. Soft Collar. Fully adjustable, one size fits most. Deluxe tactical vest. Soft Collar. Fully adjustable, one size fits most. Deluxe tactical vest. Soft Collar. Fully adjustable, one size fits most. Deluxe tactical vest. Soft Collar. Fully adjustable, one size fits most. Deluxe tactical vest. Soft Collar. Fully adjustable, one size fits most. Excellent quality tactical vest with hydration pouch. Fully adjustable quick release buckle. Well-padded shoulder straps. Excellent quality tactical vest with hydration pouch. Fully adjustable quick release buckle. Well-padded shoulder straps. Excellent quality tactical vest with hydration pouch. Fully adjustable quick release buckle. Well-padded shoulder straps. Excellent quality tactical vest with hydration pouch. Fully adjustable quick release buckle. Well-padded shoulder straps. Excellent quality tactical vest with hydration pouch. Fully adjustable quick release buckle. Well-padded shoulder straps. 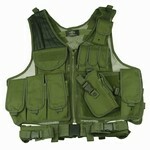 Excellent quality tactical vest with hydration pouch. Fully adjustable quick release buckle. Well-padded shoulder straps. Adjustable, quilted, comfortable and low profile tactical vest. Holster fits most large to medium frame handguns. Adjustable, quilted, comfortable and low profile tactical vest. Holster fits most large to medium frame handguns. Adjustable, quilted, comfortable and low profile tactical vest. Holster fits most large to medium frame handguns. Adjustable, quilted, comfortable and low profile tactical vest. Holster fits most large to medium frame handguns. Adjustable, quilted, comfortable and low profile tactical vest. Holster fits most large to medium frame handguns. Adjustable, quilted, comfortable and low profile tactical vest. Holster fits most large to medium frame handguns. Adjustable chest rig with 7 pouches.One size fits most users. Adjustable chest rig with 7 pouches.One size fits most users. Adjustable chest rig with 7 pouches.One size fits most users. Adjustable chest rig with 7 pouches.One size fits most users. Adjustable chest rig with 7 pouches.One size fits most users. Adjustable chest rig with 7 pouches.One size fits most users. Adjustable chest rig with 7 pouches.One size fits most users.